Some of us just aren't "morning people". We wake up and though the sun may shine, the day is dark. It's that 1st cup of joe or tea that gets us going and brightens our day so we can carry on. 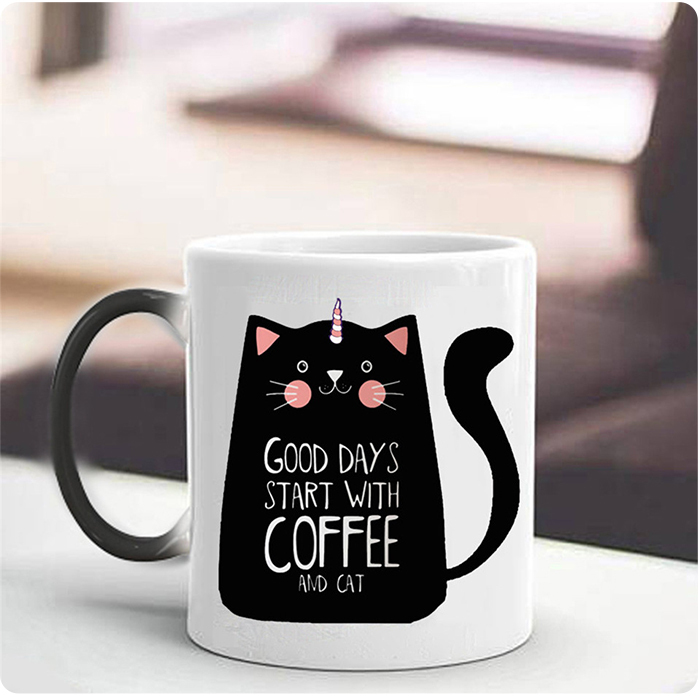 Much like this mug. Black. Until it's met with the heat of our favorite morning beverage. Only then does it reveal its true beauty and mystery. A blend of our favorite Furry Darling and the elusive Unicorn...The "Cat-i-Corn"! It is then we know, It's Gonna be a GOOD DAY! Order Today and Make all of your days Good Days. 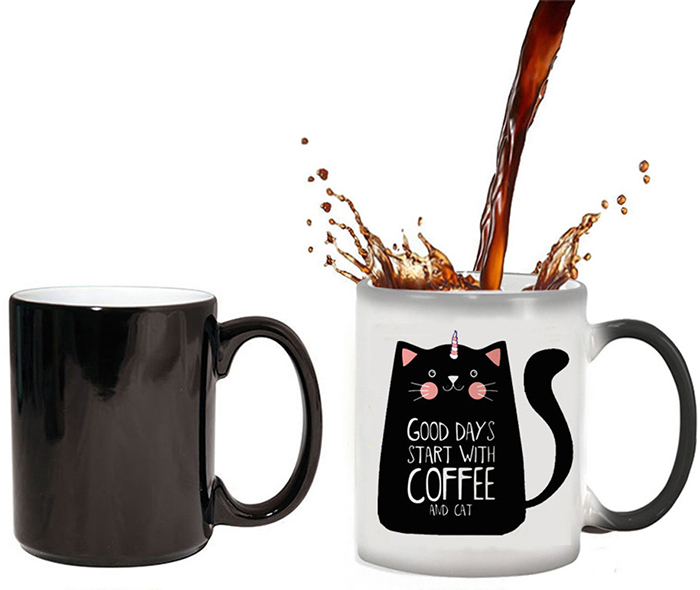 Start Mornings with Your Own Cat-i-Corn Mug. Please Select Your Package Size from the Drop-Down Menu. We fully back this (and every) product with our iron-clad, satisfaction guarantee. If you are unsatisfied with your order for any reason, we will gladly give you your money back. At Cat Crazy, the customer is always first. Don't like it? We'll be sad, but we'll take it back. Refunds are 100% Guaranteed. Great product and fast shipping. Perfect! Just as described. 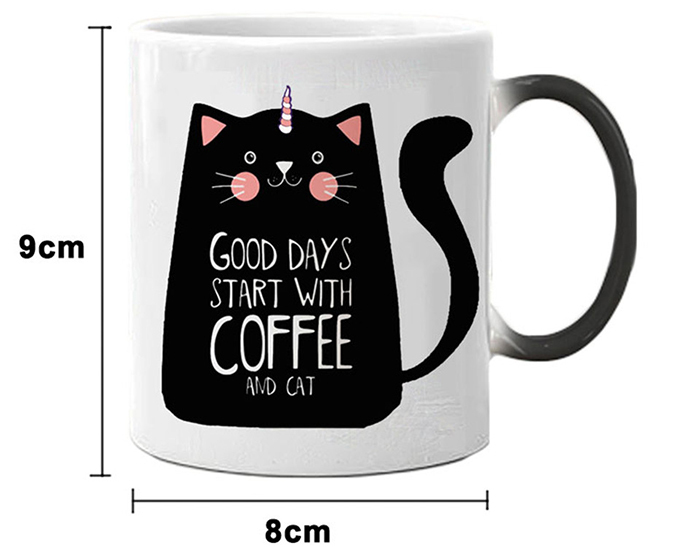 Order came quickly (earlier declared), mug is very happy, color changes, cat painted on both sides. All together, no chips, paint is good. Packed with very high quality! Track to track. Seller recommend.